I am beyond grateful to have found Alexandra. Years of traditional therapy could not help me. I was creating a pattern of behaviors that I was not able to break away from. With Alexandra's guidance, she helped me navigate and root cause the behavior back to childhood trauma which I had endured. She is patient and I felt safe to disclose my deepest thoughts. The review is way overdue. I can only tell you that I believe in her method enough to send my loved ones her way. I am no longer suffering as I had before thanks to her methods. Thank you. Prior to meeting Alexandra I was not entirely new to hypnotherapy. I had used and am still using several audio therapy recordings and apps over the last two years. These were for confidence building and anxiety relief. However, she was the first hypnotherapist I ever directly worked with. I contacted her to ask if she could help me with financial goal setting and achievement. She replied quickly and I was pleased to hear that she first wanted to make sure whether this was really for me or not, and explained to me how her style may be different from what I might be anticipating. She described that her method involved body focused self hypnosis techniques which do not end with the sessions, and that the effectiveness depended on how long and how often I practice them myself. That actually intrigued me more, and I really looked forward to a session. In that two hour session, we first went over my background and the issue at hand, and my goals. Based on all the information I provided, she lead me through a number of relaxation and self hypnosis techniques, including Emotional Freedom Technique (EFT). I felt great right away after the session, and continued practicing the techniques daily, rarely missing a day except for a small number of emergency situations. My session was in late July, now it has been more than 6 months and I have been committed to practicing regularly without fail. So how effective has it been? Well, to start with, on almost any given day, at almost any given time, I feel better than I did even on the car ride over to Alexandra's office! And mind you, at that time I thought I felt great because of all the hypnotherapy recordings and other practices I had been doing since late 2016! Alexandra got to the root of my remaining anxiety, it wasn't just in the mind, but throughout the body, as it is all connected to the Central Nervous System. But the effectiveness is not limited merely to how I feel. Remember, my objective was to set financial goals. Practicing her techniques initially helped me get through a very difficult family situation I was going through that summer. But it didn't stop there. Less than two months after our session, my contract for my job came to an end. And just one week after my last day in that job, I was able to land my next contract on my first in person interview of that job search cycle. In just one week, in just one shot! And that's still not the last story. That role also was brief and came to an end, but just two weeks ago, I signed an offer for a full time role with a considerably higher salary, and I am starting that role this week! So I went in to get help with financial goal setting and just over 6 months later I have greater job security and am making more money! And I have also been making investments (though slowly and carefully), something I was for some reason reluctant to do throughout my adult life. And on top of all this I feel better than I ever did before! While I cannot guarantee anything for everyone, I am attesting based on my own experience that if done correctly and with dedication, Alexandra's methods work and are highly effective. And I definitely recommend her to anyone looking for solutions to their problems! “I’m a good dieter, I’m a bad dieter”. That’s what I told Alexandra when I showed up for my first session. I went on to explain the madness I put myself through when trying to lose weight for an/any upcoming event. You see; I can lose weight fast, but once I get to my given goal, fit comfortably in my suit and arrive at the occasion; God Bless the caterer. I had always felt that I’d rather be miserable for a couple of weeks than be uncomfortable for months. I was impatient for results. Six weeks to the next wedding? Fifteen pounds overweight? No problem! Let’s calculate that out to 1200 calories a day. Then after a week I’d look at the scale; hadn’t lost enough weight yet? Okay, let’s cut that back to 1000 calories a day. Still not on track? Eventually I’d be under 800 calories with 7 days to go. It was crazy! It was insanity! I’d limp into the venue weak and listless, make sure I met every hors d’oeuvre waiter and hang out at the buffet all night long. Maybe even stop at that fast food restaurant on the way home to try the latest burger they were promoting. The stress I was putting on my body was enormous. My heart would race uncontrollably at times. I’d put myself to sleep early so I wouldn’t eat any more food for the day. Some weekends I didn’t have enough energy to get out of bed, but I’d tell myself that was okay because I was skipping a meal. It was just all wrong. I thought Alexandra would hypnotize me with a pendant and send me on my way. Fast, just like the way I like to lose weight. But, she had a different approach. She wanted to get down to the root of my problem. She wanted to understand why I did this and how I arrived at this process. It was clear, she wasn’t going to sell me the latest weight loss plan or Thigh-Master, she wasn’t interested in a bandage, but more of a long-term solution, a life style change. She managed to peel away and unravel the issues and thought processes that I didn’t see myself. I can honestly say that since in her care I have never felt hungry or starved and yet the weight has come off consistently. She’s absolutely fantastic at what she does. She’s got me eating sensibly again and may have saved my life in the process. My primary care doctor recommended Alexandra Bley to help me with anger and distress that prevented me from restful sleep for years. She helped me find peace within myself, no more sleep aids, just an adjusted self-awareness. She is highly recommended. A grateful patient. After several years of trying a variety of therapy, I continued to feel stuck with my anxiety. I finally decided to try hypnotherapy. Alexandra made me feel safe and relaxed when bringing up old feelings, attached to strong moments in my life. With her help, I now view my fears in ways that help me, not hinder me. She guided me to finding feelings within myself I had kept bottled up for years and memories that were overshadowed by my anxiety. Every time I walked out of her office, I felt rejuvenated and absolutely astonished at what we were able to complete in one session. I would highly recommend Alexandra and hypnotherapy for others who are struggling. I came to see Alexandra when I was struggling with anxiety and panic relating to a pulmonary condition. Her calm, thoughtful and compassionate approach got me through that crisis and helped me get started on a much better emotional and mental path, and for that I will always be grateful to her. Alexandra helped me to learn to listen to my body and to forgive and feel compassion for myself. It sounds so simple yet it’s amazing how much better I felt once I learned how to really do that. I’ve worked with subsequent therapists since my time with Alexandra and I find her advice and guidance dovetails with the guidance I’ve gotten from them. I will always be grateful to her for getting me started on this path. She really made a difference for me! " I discovered Alexandra Bley by chance and I am glad it happened since Alexandra helped me regain my life and independence. I would highly recommend her services to anyone who is blocked with some anxiety. Alexandra is both caring and very effective. Since I could not drive for a long time, it also helped that I could take the bus 22 in order to go to Alexandra's office, which is close to the bus stop. With appreciation, "
"Alexandra is an absolutely wonderful and skilled hypnotist who has helped me significantly with my gastrointestinal-related chronic pain. About two years ago, I started to experience spontaneous outbreaks of horrendous pain in my abdominal area, which became progressively worse (and continuous) to the point where I couldn't walk or truly focus on anything, so I ended up taking an entire year off from school because of the severity of the issue. Before my mom thankfully found Alexandra, I had been to three top hospitals in the Bay Area (Stanford University--Lucille Packard Division, UCSF, and Palo Alto Medical Foundation), seen the top gastroenterologists in the country (who are simultaneously researchers and professors) who deal with my particular issue (functional pain or whatever you classify it as), tried acupuncture from two very skilled professionals, tried taking herbal medicine, completely changed my diet, took many probiotics, and even tried drinking some crazy Armenian mineral water that my grandpa suggested me to take. Aside from the acupuncture (which reduced my pain minimally), NOTHING HELPED, and what was even more frightening was that doctors couldn't (and still cannot) pinpoint what I had/have. Around October of this year (2013), I started going to Alexandra. I was a complete skeptic and did not want to try hypnotherapy. Today is the 31st of December and I can gladly say that I am in the least pain I have been ever since my chronic pain started. I cannot be more thankful for her work and help, and I have learned so much about myself. Alexandra approaches every issue, whether it be big or small, with so much care and compassion. No one should ever feel ashamed or embarrassed to talk about anything with her because she keeps all matters completely confidential. I have gained so many techniques and exercises that I can use for the rest of my life to counter my pain. Not only have I gained these skills, but Alexandra has also helped me purge and get rid of certain feelings which were getting in the way of my every-day-life. All I can truly say is: "thank you". " "I am an airline pilot and had been out of work due to sleep apnea and was frustrated and started to doubt whether I would be able to return to work. I went to see Alexandra Meissner Bley because nothing else had worked. I was using a CPAP machine to treat my sleep apnea and the machine measures your breathing disturbances. I was unable to get my breathing disturbances below the required level to return to work. After a few sessions with Alexandra my breathing disturbance index reduced significantly below the level required for me to return to work. She used hypnosis to get me to focus on my breathing and the underlying causes of my disturbances. Alexandra is very good at what she does and I found her personality and voice helpful in getting me to relax. Hypnosis was very effective and I credit it as an important factor in my ability to return to work." "Hi, my name is Karen and I am a mother of four, a wife, a teacher, sister, daughter and a friend and like so many women, I lead a very busy life. For years I have felt periods of depression, anxiety and worry. For several years I sought help from a therapist and took medication to help deal with the issues. Through therapy I have learned a lot about my anxiety roots but have never quite been able to rid myself from the feelings of fear and worry. I recently sought the services of Alexandra Meissner Bley a hypnotherapists to try to deal with the issues. From the very first session I felt more relaxed and more aware of where and why I was feeling anxious and depressed. I have had several sessions with Alexandra and working with her has been a life altering experience. I was finally able to let go of so many things that were bothering me. I now feel that I can face daily challenges with a clear mind. For years I struggled silently and finally decided to take care of myself. Seeking the help of Alexandra was the best thing I have done for myself." "I never could have imagined being more satisfied and happier with the results of my hypnotherapy with Alexandra. All of my adult life I had suffered from chronic anxiety. My anxiety had crippled my family life and hindered my personal relationships and career. Through hypnotherapy, Alexandra helped me find the sources of my anxiety and replaced them with a positive self-image and self-confidence. Alexandra has given me more positive and satisfying friendships, happier family relationships, and more personally rewarding career alternatives. Prior to working with Alexandra, these seemed unattainable for me. Alexandra’s hypnotherapy and approach were gentle and tailored to my personality and my specific needs and goals. Her professionalism and integrity are the highest." "When I started working with Alexandra I was very depressed and taking medications for HBP, high cholesterol, thyroid, and depression. At age 68, I decided I didn't want to take meds for the rest of my life. My doctor gave me Alexandra's card and told me I might want to give hypnosis a try. With Alexandra's patience and kindness, I have been able to deal with things in my past that were causing me to be depressed. Today, I am no longer taking meds and I wake up usually with a smile on my face and I look forward to what is going to happen. I am no longer letting the past run my life. My experience with hypnosis is a positive and will continue to be a part of my life"
"During a time when I faced personal challenges and stress was so intense that my body didn't function anymore the way it used to, I made my first appointment with Alexandra. After being hospitalized, taking medications, getting acupuncture and not seeing the results I wanted to see, Alexandra was able in just one session to help me understand how I can work with the stress I was facing. She taught me how to accept things I can't change but also how to find back my balance. Not just her knowledge and work experience helped me getting back on my feet during those dark days. With her understanding and warm personality she made it so easy for me to open up and letting her help me. I am still impressed how a simple change can make such an impact. I can't thank Alexandra enough for her support and encouragement. Therefore I like to encourage YOU to get support from Alexandra. She will open your eyes and will show you that there is always a way. Thank you, Alexandra! You changed my life and my health." "I went to Alexandra following a particularly low series of months in which I stopped exercising and gained weight. Alexandra was able to show me the emotional roots of the overeating and malaise and taught me several handy tricks to control late-night urges. Much to my surprise, addressing the root cause of my indulgent eating also helped with a couple of other problems. She's great." "I have known Alexandra in a professional setting and have received her hypnotherapy treatments. I consider her to be an excellent practitioner. She is competent, ethical, caring and compassionate. I would highly recommend her for any issue requiring Hypnotherapy"
"I am amazed at how skilled, knowledgeable effective Alexandra Meissner Bley is. She took the time to listen to my challenge and explain how she works. There weren't any surprises, just pure encouragement. Alexandra works on the stuff that you know has been keeping you stuck. She shows you how to release pent up feelings so that you can move forward again. She also blends her hypnosis work in so smoothly that it's just another reason she's so effective. If you are frustrated with talk therapy, and you would like to learn some tools that you can use whenever you need to, just give her a call. You'll be pleasantly surprised how quickly what you thought was an issue that would scar you for life is changed. No issue is too small or too large. She's been doing this long enough to confidently take you where you need to go. 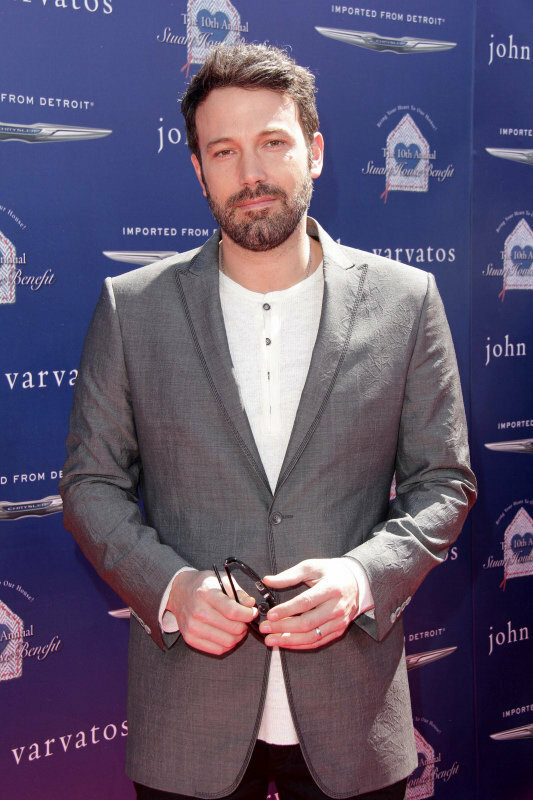 Who knew it could be this easy...."
Ben Affleck on how hypnosis helped him to stop smoking. "My last cigarette was on November 10th, 2005, and I feel a huge difference in my health now that I don't smoke. I feel like I'm in better shape than I was five years ago." Click here to read the article. 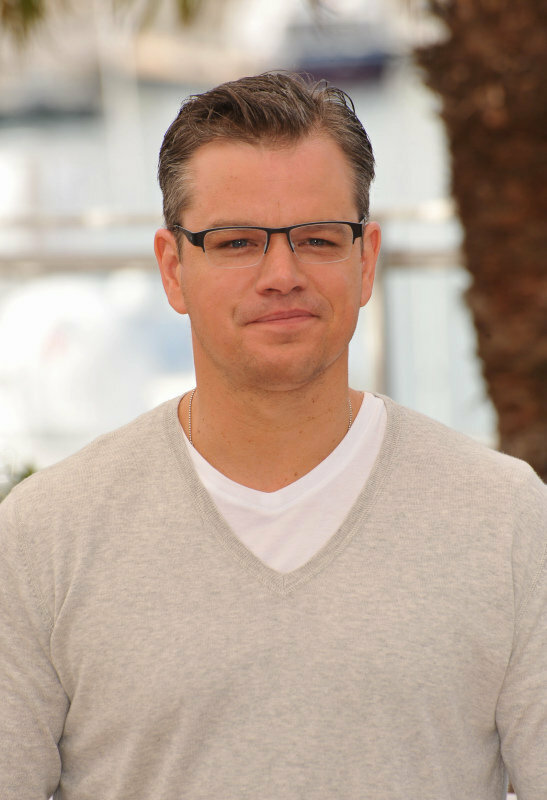 Matt Damon on how hypnosis helped him to stop smoking. "It's amazing I didn't even want cigarettes any more. I should have done it years ago, using hypnosis was one of the greatest decisions of my life!" Click here to read the article. 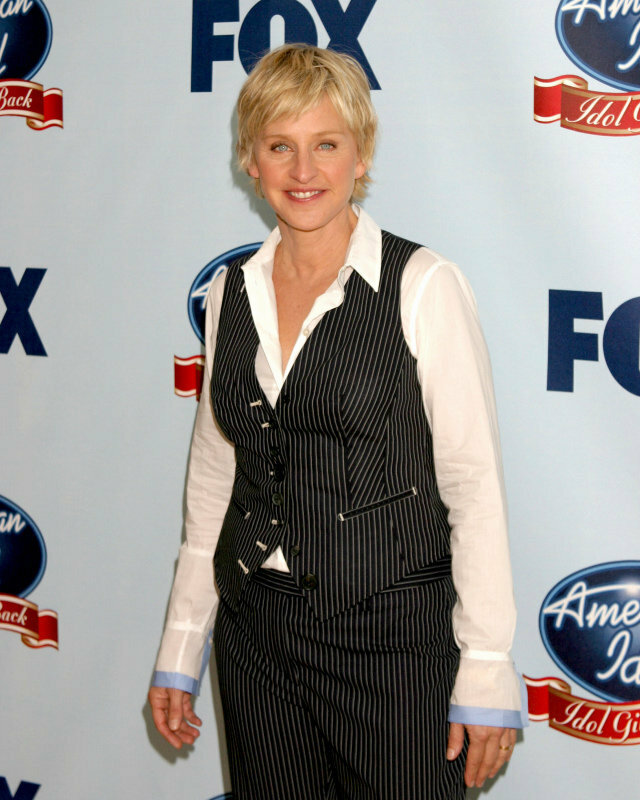 Ellen DeGeneres on how hypnosis helped her to stop smoking. "I feel so good. I feel healthier! It seems ridiculous but my skin looks better, I just feel like, I feel healthy. I feel really good." Click here to read the article. Fergie (member of the Black Eyed Peas) on how hypnotherapy helped her with drug addiction. "I do hypnotherapy, which is a really big thing in my life. It works well with me because you go back into your subconscious and there are positive suggestions that are said to you. It really works for me." Click here to read the article. Lily Allen on how hypnotherapy helped her to lose weight. "After the hypnotism, I want to go to the gym every day, otherwise I feel really bad. I just want to get more toned and healthy. I'm really good about everything at the moment - I've never been happier." Click here to read the article. 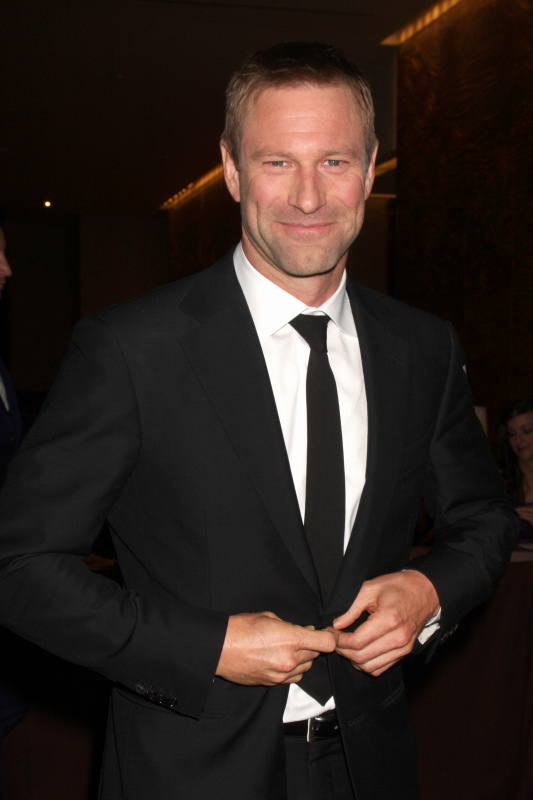 Aaron Eckhart on how hypnosis helped him to stop drinking and stop smoking. "I started drinking when I was 14, so I feel like I had my fill. I used hypnosis to quit and I haven't had a drink in two and a half years." Click here to read the article. "I was a smoker for many years. But I quit four years ago. I used HYPNOTISM." Click here to read the article. Melanie Brown (former Spice Girl) on how hypnosis helped her to overcome anxiety. "I was getting a bit nervous. My anxiety was getting to me. I was hypnotized to calm me down and it worked." Click here to read the article.